SAA board chairperson Dudu Myeni on Wednesday put the blame for much of the national carrier’s woes on historic legacies, including actions taken by “foreigners” like former CEO Coleman Andrews. But he resigned from the national airline in 2001, while Myeni, who is also executive chairperson of the Jacob G Zuma Foundation, since 2012 has headed the board she joined in 2009. Faced with a litany of dodgy dealings, Parliament’s watchdog on public spending, the Standing Committee on Public Accounts (Scopa), was not impressed. By MARIANNE MERTEN. Scopa brooks no fluffing. Committee members read documentation and are wont to ask detailed questions. Like, why has SAA incurred fines worth R6.7-million in the 2015/16 financial year for regulatory breaches such as allowing travellers to fly without the required visa documentation. Or why SAA is paying service providers on the back of letters of appointment, not signed contracts. Or why SAA started a route without proper costing to Abu Dhabi only to cancel it in late 2015 because it was losing R330-million a year. “Half of the operational fleet worldwide is leased. Much depended on accounting rules, the tax regimen and ability to have fleet flexibility to adopt to changing market conditions,” he said. At the Scopa meeting, committee chairperson Themba Godi was having none of the historical legacies. There was enough to deal with in the present. This included so-called evergreen contracts, an apartheid hangover which effectively means a contract is automatically renewed, inconsistent disciplinary action, and consequence management and sustained losses. But Myeni’s answers, including on a controversial transformation policy, proved insightful to the financial turbulence intermixed with governance instability at SAA in an environment that is politically charged. Public Enterprises Minister Lynne Brown reportedly did not see eye to eye with Myeni, and by December 2014 SAA was moved to the National Treasury portfolio. “The Minister and the board (including the acting CEO and CFO) have agreed that to stabilise the company’s financial position, elements of the long-term strategy must be implemented with speed even as the board continues to refine and update the strategy,” said the official statement of 22 December, 2014. While Andrews may have sold off SAA planes some 18 years ago, Myeni spearheaded the controversial October 2015 amendment to the Airbus swap transaction that would have included an African leasing company, effectively as middleman. The deal has its roots in the 2002 decision to acquire new planes to replace SAA’s ageing fleet. At the time of the 2015 controversy, Mail & Guardian reported that Airbus was ready to issue a default notice, effectively precipitating a call-in of all debt. Former Finance Minister Nhlanhla Nene in late 2015 said the deal – the conversion of plane purchase to leasing – needed to be implemented as originally agreed. “Although possible benefits may be realised through allowing the airline to continue to pursue an alternative transaction, these were far outweighed by the high probability of a default on the government guarantees and the severe consequences thereof,” said the official National Treasury statement at the time. But then Nene was axed in what has become known as 9/12. At the time there was much speculation that his resistance to the proposed amendments to the SAA deal was one factor. The proposed changes were eventually nixed later in December 2015 by Pravin Gordhan. During Gordhan’s time as finance minister, SAA finances remained a headache, not only for the bailouts, but also efforts to refresh the board. 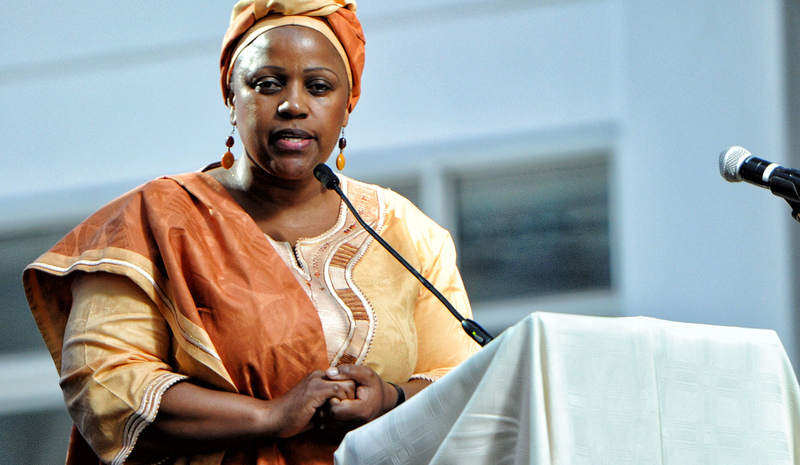 Eventually late last year a new board was appointed, but Myeni remained at the helm. While it was officially announced that Myeni would not serve another term as board chairperson, and would leave after the 2017 AGM, it remains unclear when that might be. It is understood the date for the AGM is still being settled. But Scopa had another view of the state of turmoil at SAA after a gruelling five-and-a-half-hour session. The committee has now asked SAA to provide it with all investigation reports from the past three years, lists of its lounges and offices and their associated costs and the list of its evergreen contracts. Reports from the internal and external auditors were also requested to get to the bottom of the national carrier’s losses.